This Web site is designed by the TSA team at Upper Merion Area Middle School, King of Prussia, PA. The purpose of this web site is to highlight the impact of 3D printing on our society and other areas that affect our lives and developments in 3D printing. This Web site also contains interviews with the people using 3D printers. Please use top level menu to view each section in detail. 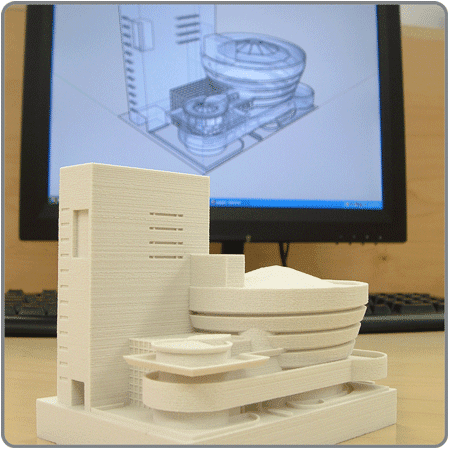 3D printing is the process of creating three dimensional solid objects from a digital file contains a CAD drawing or other digital format. 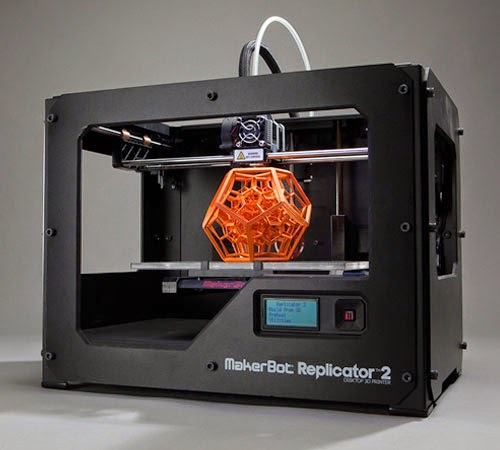 3D printing was first innovated by a company known as3D systems. 3D printing is also known as additive manufacturing. 3D printing process is known as the additive processes. In the additive process the object is created by placing laying over layer of the design one by one until the whole object is created. Every one of the layers can be seen as a thin horizontal part of the object when the object is being made. After all the parts are laid the 3D printed object is crated. The first step of 3D printing is to create a virtual design using a CAD(Computer Aided Design) or other 3D software format. Then using a 3D scanner that creates a 3D design of the object you created and puts it into the 3D modeling program. This 3D modeling program then takes the object takes the final object and cuts it into hundreds or thousands of horizontal layers. Finally the 3D printers starts to create the object by creating layer by layer until the final result is a 3D object. There are many different methods to create the object - stereolithography (SLA), Fused deposition modeling (FDM), and Selective Laser sintering (SLS). Major companies such as 3D systems, RepRap, MakerBot and new companies such Hp Printers and Google are also starting to be interested in 3D printing. With the new technology revolutionizing manufacturing in a new innovative way, it has caught the public’s attention. The 3D printers are getting bigger and faster and are able to print a variety of object and the only limit is their size. The applications of this new technology is nearly limitless. This technology has been used in from prototyping/CAD to healthcare and entertainment.